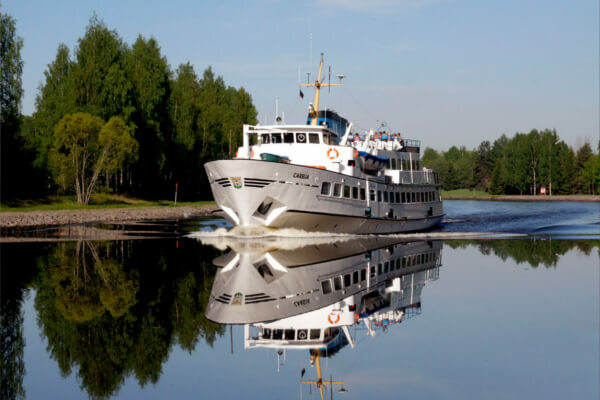 Step on board M/S Carelia and travel visa-free via the unique Saimaa Canal to Vyborg and further to magnificent St.Petersburg. 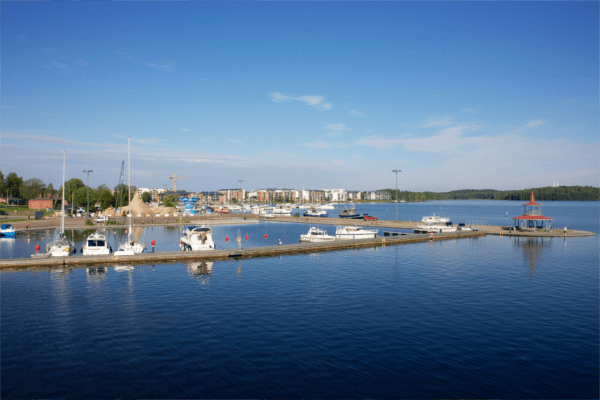 The cruise begins with an early morning departure from Lappeenranta on M/S Carelia. 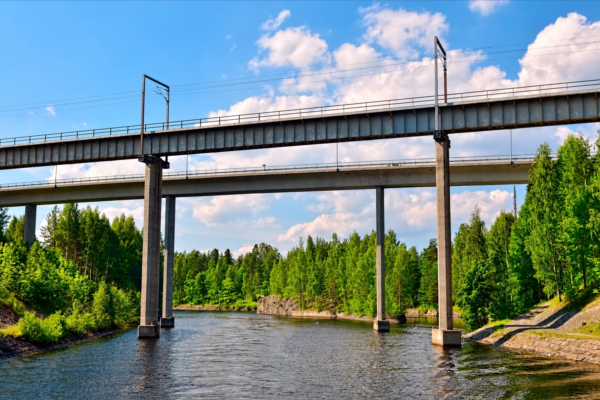 On board you can enjoy beautiful scenery of Lake Saimaa and the Saimaa Canal. From Vyborg your tour continues by bus to the trendy Russian metropolis. In St.Petersburg you accommodate in the Solo Sokos Hotel Vasilievsky on Vasily Island or in the hotel Oktiabrskaya in the centre. The first day ends with a Neva and canal cruise (subject to change due to weather conditions), on which you will see beautiful palaces, stunning churches and other tremendous attractions. On the second day you will have time to get to know St.Petersburg on your own. Many significant sights, such as the Hermitage, Palace Square, the Admiralty, Russian Museum, Peter and Paul Fortress, are within easy reach from the hotel. 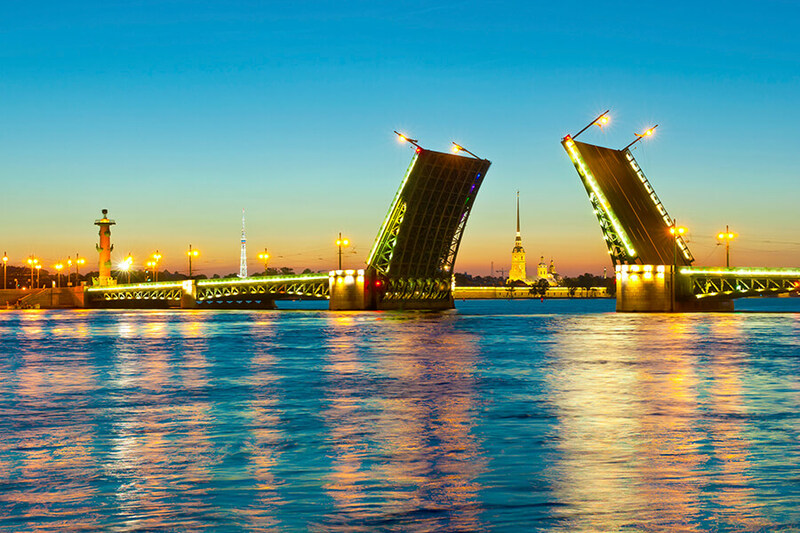 Even without visiting any sights, St.Petersburg has a lot to offer. Maybe you just want to walk around and stop by in numerous cafes and restaurants. For the second day you can book a guided tour in the Hermitage. 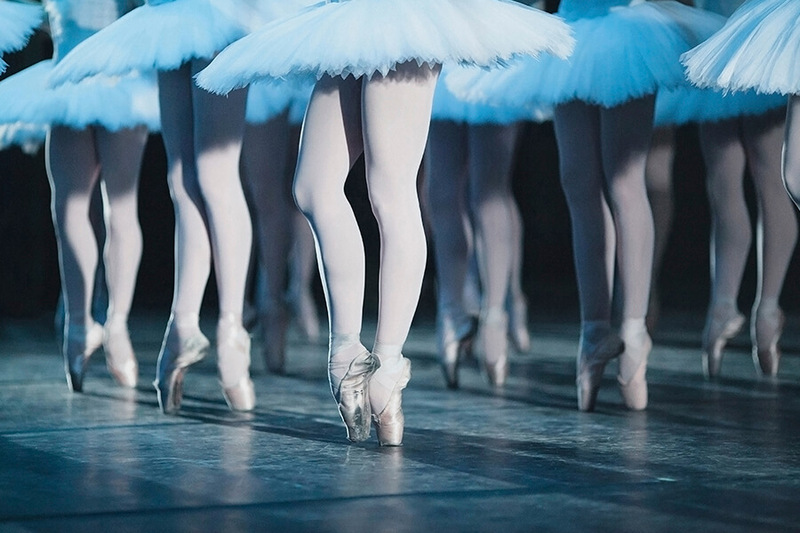 You can also reserve ballet, opera, theatre or circus tickets from us. On the departure day you'll have time to do last minute shopping near the hotel. If the timetable allows, there will be some shopping time also in Vyborg on the way back. For this 3-day tour you don't need a Russian visa. Citizens of all countries are welcome to take part in this visa-free tour. Single supplement: Solo Sokos Hotel Vasilievsky standard €145, hotel Oktiabrskaya, hotel Moscow and hotel Aglaya €135. Time in Vyborg and St.Petersburg is the same as Finnish time during summer. Check-in starts 30 min before the departure. Tour departure dates are indicated in blue in the calendar. 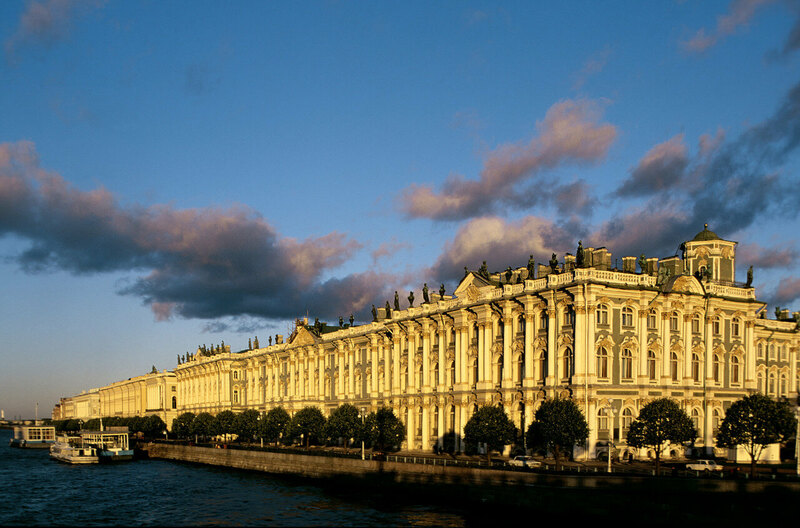 The Hermitage Museum is one of the largest and oldest museums in the world, it was founded in 1764 by Catherine the Great and has been open to the public since 1852. Its collections, of which only a small part is on permanent display, comprise over three million items. Please ask for a possibility to a German speaking guide. 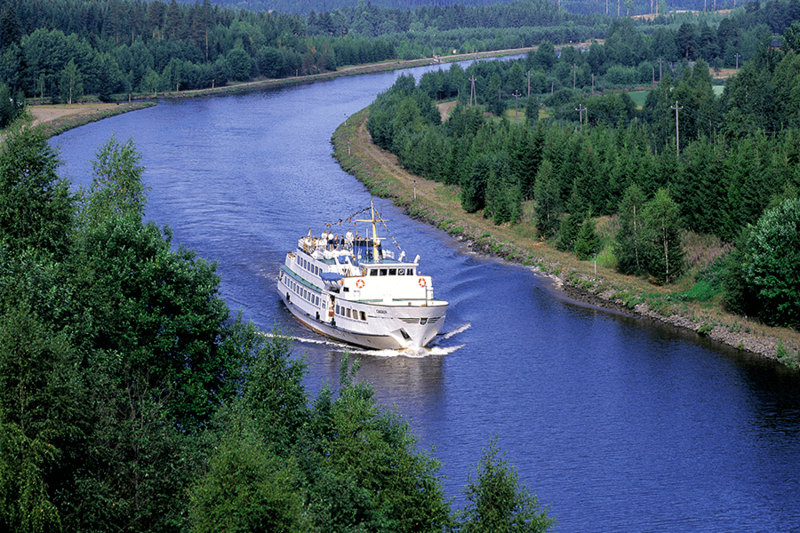 Check-in starts at the Lappeenranta harbour at 7:15, M/S Carelia departs for Vyborg at 7:45 and arrives in Vyborg at appr. 13:15. Departure by bus to St.Petersburg (there is no toilet in the bus). Arrival in St.Petersburg at appr. 17:00. Accommodation at the hotel. In the evening River Neva and canal cruise (subject to change due to weather conditions). Excursion to the Hermitage booked in advance or any program of your own. Departure from the hotel at 11:30, arrival in Vyborg at appr. 14:30. 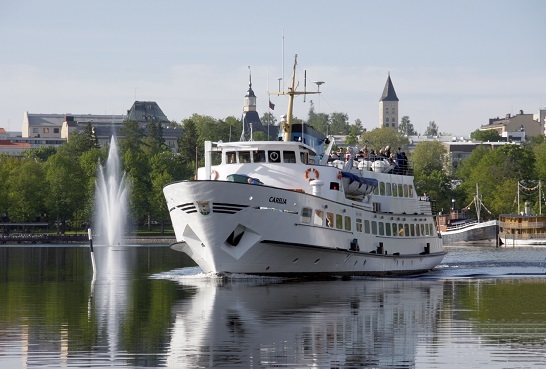 Check-in starts at 15:30, M/S Carelia departs from Vyborg at 16:15 and arrives in Lappeenranta at appr. 21:45. St.Petersburg and Vyborg are in the same time zone as Finland in summer time. In Solo Sokos Hotel Vasilievsky extra bed is not possible in standard rooms. If extra beds are needed, you need to book either Superior room (with one extra bed) or Junior suite (with two extra beds). In hotel Oktiabrskaya and hotel Moscow 1 extra bed is possible in a standard room. If you need more than 1 extra bed in the room, please contact us to book a family room. Extra bed is available in some of the rooms on request. Please contact us if you want to reserve an extra bed. Situated on the quiet Vasily Island, just a short walk away from St.Petersburg's main sights and attractions. On departures 2019, August 1, 8, 15, 22, 29. Situated in the city centre, in the midpoint of Nevsky Prospekt (the main street). On departures 2019, May 23, 30 / June 13, 27 / July 4, 11, 18, 25 / September 5. Situated in the historical center of Saint-Petersburg, near Nevsky Prospekt, on the Neva embankment. On departure 2019, July 23. Situated in the historical center of Saint-Petersburg, a short walk away from the main street Nevsky Prospekt. On departure 2019, August 6. Don't forget to take the passport with you to the cruise!